Systemic chemotherapy, either before or after cytoreductive surgery, provided no improvement in long-term survival for patients with peritoneal mesothelioma, according to a recent study. The addition of systemic chemotherapy improved survival at the one-year mark, but there were no benefits at the two-, three- or five-year checkpoints. 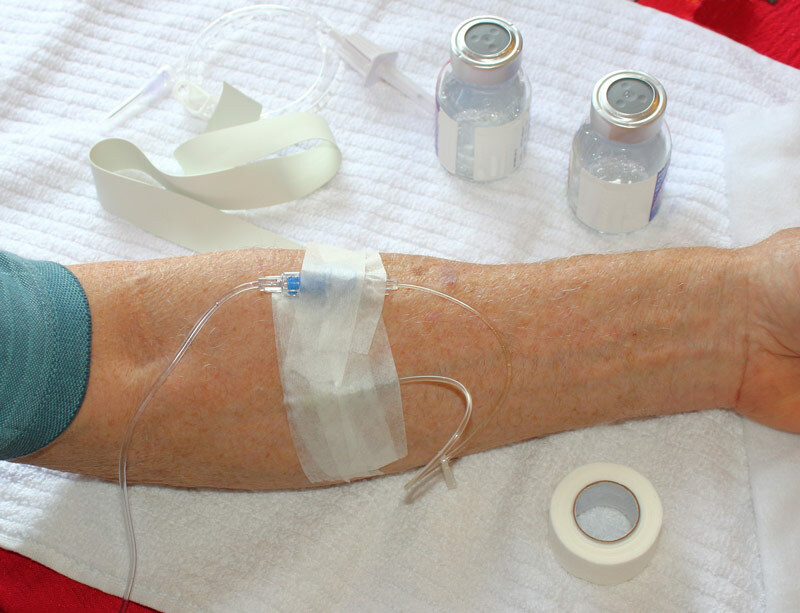 Systemic chemotherapy uses anti-cancer drugs that are injected into a vein or given by mouth. The median survival of surgical patients who received systemic chemotherapy did not improve, either. Medical Oncology recently published the study that examined the National Cancer Database (NCDB), a cancer registry maintained by the American College of Surgeons. The registry includes an estimated 70 percent of cancer cases nationwide. Recent treatment advances, including the combination of cytoreduction and heated intraperitoneal chemotherapy (HIPEC), were not addressed in the study. HIPEC involves a 90-minute chemotherapy wash of the abdominal cavity following surgery. The procedure has shown considerable promise. The research team started with 2,664 peritoneal mesothelioma patients from 2004-2014. After a set of inclusion and exclusion criteria was applied, 1,136 cases receiving a curative approach to treatment were used in the study. Cases were divided into five groups. They included a control group which received no treatment and those who received only chemotherapy, only cytoreductive surgery, chemotherapy before surgery and chemotherapy after surgery. Salti believes a medical oncologist, after a diagnosis is made, will too often advise a patient that chemotherapy is the only real option. Doctors diagnose an estimated 3,000 cases of mesothelioma in the U.S. each year, and less than a third of those have the peritoneal type of the cancer. There is no definitive cure, although recent treatment advances allow some patients to survive five to 10 years and beyond. Salti, who has treated peritoneal patients for more than 20 years, said there is continued debate in the medical community over mesothelioma treatment. Some think chemotherapy before surgery is advisable. Others believe chemotherapy after surgery is the better option. And some prefer no chemotherapy if surgery is successful. Salti believes proper patient selection is most important for any treatment and avoiding the one-size-fits-all routine that happens too often.